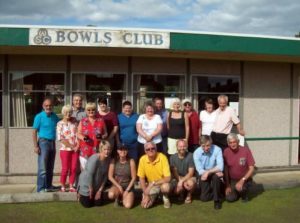 Thanks go to Bowls Section for kindly inviting non-members to try out their skills on the bowling greens Sunday 13th August. 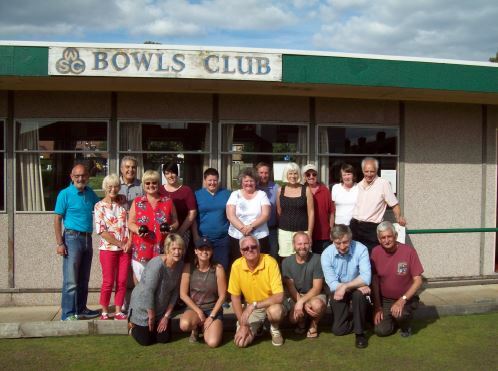 Everyone had a great time and Joan provided a lovely buffet tea afterwards in the bar for everybody This event was such a success that Bowls are planning on arranging another ‘Bowls Fun Day’ soon, so watch this space! Jazz – BASSA BASSA Sunday 10th September. 12:30 – 5 pm Merchants of Musical Mayhem – Led by Colin Byrne. Big, bold and brassy. Jazz dance legends from Leeds. Adults £10.00, Students £5.00. Under 15 free. Lunch 1 pm. (£5/head). Jackie’s finest Roast Pork dinner with all the trimmings plus seasonal veg. Veggie option – Shepherds pie. Advanced orders only for food. Please telephone Jackie on 07719 845431. A range of Jackie’s home made cakes and tarts will be available until the interval. See the Jazz website for more details: www.wakefieldjazz.org. 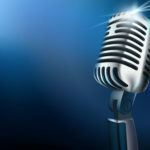 Open Mic Nights: We now have a good variety of musicians, singers, comedians and poetry readers performing at our open mic nights. If you fancy having a go please see Nikki behind the bar, or just come along and support your favourite act. See our facebook page for dates. Pitch Hire: Schools are back and WSC sporting activities are in full swing! Our pitches are busy most evenings but we still have some slots available during the day. Our two full sized water based Astro Pitches and smaller Multi use Games Area (MUGA) Astro, all with floodlights, are perfect for schools and colleges to hire. For further information, including prices, please telephone the office. You may not want to be thinking about Christmas yet, but you can be sure it will come around pretty quickly. So, book your party with us. We have three rooms in our Clubhouse – one with wooden floor, perfect for dancing the night away, and a fully licensed bar. Our friendly bar staff will ensure you have a very warm welcome and a great evening! Sunday 3 September is Finals’ Day. 1:30 pm start, with tea and cakes to finish. Wednesday 6 September: Coffee morning 10 am. Sunday 10th Sept: Beverley Cup/John Salmon Cup. Wednesday 13 September: Supplementary Cup, Start time 2 pm. Also Perry Cup, start time 2:30 pm. Saturday 30 September: Jackson floodlit competition, 6 pm. Thursday 19 October: Ladies Lunch. Afternoon Tea in the pavilion 12:30 pm. Whist in the Pavilion – Tuesdays throughout the year,1:15 pm. Beginners, with little or no prior experience, are especially welcome at R & P Club. The following is a little information on how the membership works: Each person who joins the Club will have to pass a probationary period, before being granted full membership status. This is required in order to apply for a firearms certificate. During this time, safety, technique, and shooting skills, are taught along with ample opportunity to try lots of different firearms. The minimum period before anyone can become a full member is 3 months and a minimum of 12 separate visits. Wednesday – Beginners’ night. Please see website www.wrpc.co.uk for further information. “This is just one piece of the new structure that we are putting in place to ensure WHC performance squads get the best support possible. We are installing 3 or 4 fixed cameras around the main pitch to ensure enhanced game and player analysis and we are signing an MoU with the University of Huddersfield, who offer sports science support. We want to make sure that Wakefield Hockey Club is the top choice for any player moving into the Yorkshire region”. Mike Wilford had a successful tournament in Whitby in July and came second in the minor section. Anybody interested in Chess is very welcome at the Club, no matter whether you are a beginner or at an advanced level. We meet on Mondays from 6:30 pm to 10 pm and there are many opportunities to play in team matches, if you are interested. We have a very active junior membership, who receive regular coaching. Please contact Simon Skinner (01924 378416) for further details. Wakefield Jazz Club has been established for 30 years and is regarded as one of the UK’s top jazz venues. The audience rapport with the musicians is legendary and results in exciting, stimulating and memorable gigs. Join us on Fridays, for brilliant evenings of Jazz. 6th October: Gilad Atzmon’s Orient House Ensemble plays Coltrane Ballards. 13th October: Alan Barnes Octet + 1. A fitting tribute (with evocative poems as the starting point of each piece) to the contribution made by those in the fishing industry who were instrumental in feeding the nation and protecting it in times of war. 20th October: New Focus Quartet. Scots, Euan Stevenson and Konrad Wisniewski lead an award-winning band. 27th October: Christine Tobin Trio. Husband and wife partnership return from New York for a tour of new material. John Bird Summer League – Finals. The ever-popular, annual competition, which encompasses players of all standards from the club playing in a handicap-style, weekly team game, provides a great way for new players to get involved in competitive play and for the more experienced to keep match-fit over the Summer months. The emphasis being equally on the social as well as the competitive aspects. The John Bird League which was won by the team ‘Ball Busters’ was celebrated in the Sports Bar on 25 August with drinks and hot food. 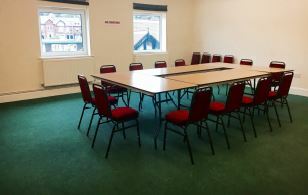 2 x Rooms available to hire: Our Conference Room has Seating for up to 40 people in comfort. 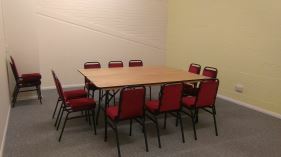 Our smaller Meeting Room is ideal for for up to 16 people. Please telephone the office for further information and prices, or see more details here. This entry was posted in Bowls, Chess, Event, Facilities, Hockey, Jazz, Open Mic, Party, Rifle & Pistol, Room Hire, Squash by WSC Webmaster. Bookmark the permalink. Sadly, this open mic event has had to be cancelled, as the host is unwell. For 7 - 14 year olds. £30 per day, £100 for 4 days. Copyright © 2019 Wakefield Sports Club. All Rights Reserved.